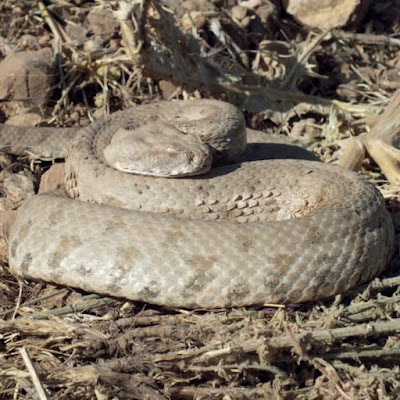 A new species of blunt-nosed viper of the genus Macrovipera is described from the central and southern parts of Iran on the basis of morphological and molecular examination. The mitochondrial Cytb gene was used to investigate phylogenetic relationships amongst the Iranian species of the genus Macrovipera. A dataset with a final sequence length of 1043 nucleotides from 41 specimens from 18 geographically distant localities across Iran was generated. The findings demonstrated that two major clades with strong support can be identified within the genus Macrovipera in Iran. Leer más.